Union Public Service Commission (UPSC) has released date for the admission in Indian Military Academy (IMA), Indian Naval Academy, Air Force Academy and Officers Training Academy (for Men and Women). UPSC invites online application from Indian MALE/FEMALE candidates for Combined Defence Services Examination CDSE (II) 2018 including SSC Women (Non-Technical) Course. UNMARRIED ONLY Degree of a recognised University or equivalent. UNMARRIED ONLY Degree in Engineering from a recognised University / Institution. ( up to 26 yrs for Commercial Pilot Licence holders ) Degree of a recognised University (with Physics and Mathematics at 10+2 level) or Bachelor of Engineering. (Married or Un-married) Degree from a recognized university or equivalent. 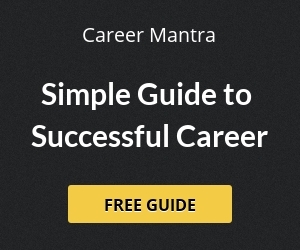 UNMARRIED ONLY Degree from a recognized university or equivalent. A written examination will be conducted with questions from English, General Knowledge and Elementary Knowledge followed by an SSB interview. A written examination will be conducted with questions from English and General Knowledge followed by an SSB interview. Candidates will be required to complete an online application form containing two stages via, Part -I and Part -II using the website www.upsconline.nic.in. A fee of Rs.200/- only payable by remitting the money in any branch of SBI by cash, or by using net banking facility of State Bank of India/ State Bank of Bikaner & Jaipur/ State Bank of Hyderabad/ State Bank of Mysore/ State Bank of Patiala/ State Bank of Travancore or by using any VISA/ Master / Credit /Debit Card. All female candidates belonging to SC/ST are exempted from the fee. Examination Centre: Examination will be conducted all over India. Note: There will be ceiling on the number of candidates allotted to these centers: Chennai, Delhi, Dispur, Kolkata and Nagpur which will be based on first-apply-first-allot. 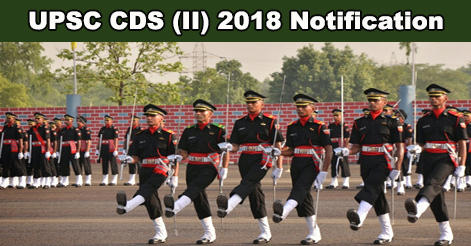 Help us to improve this article/job posting "UPSC CDS (II) 2018 Notification". We would be glad if you can comment below and provide your valuable suggestions and feedback. If this page have any wrong information/list or out of context content, then you can report us as well.